Composite resin fillings are tooth-colored restorations. Because they are mechanically and chemically bonded to the tooth leakage, a common problem with silver amalgam fillings, is less likely to occur. 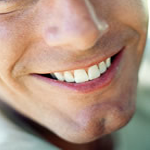 There are many advantages when resin-or tooth-colored-onlays are used to restore teeth. Resin onlays are bonded to the teeth. This creates a tight, superior fit, and restores the tooth to nearly its original strength. Resin onlays can be used in cases where much of the tooth structure has been lost, so a crown might have been necessary. This keeps your tooth intact and stronger. Resin onlays wear like natural teeth. And since resin onlay margins are invisible, they don’t have to be placed below the gum line. This is healthier for your gums. Resin onlays often also contain fluoride. This fluoride may help prevent new decay at the edges of the fillings. The improved appearance of your smile is immediately evident. Whether you replace one or all of your fillings, it’s simply amazing how beautiful and natural resin onlays look!